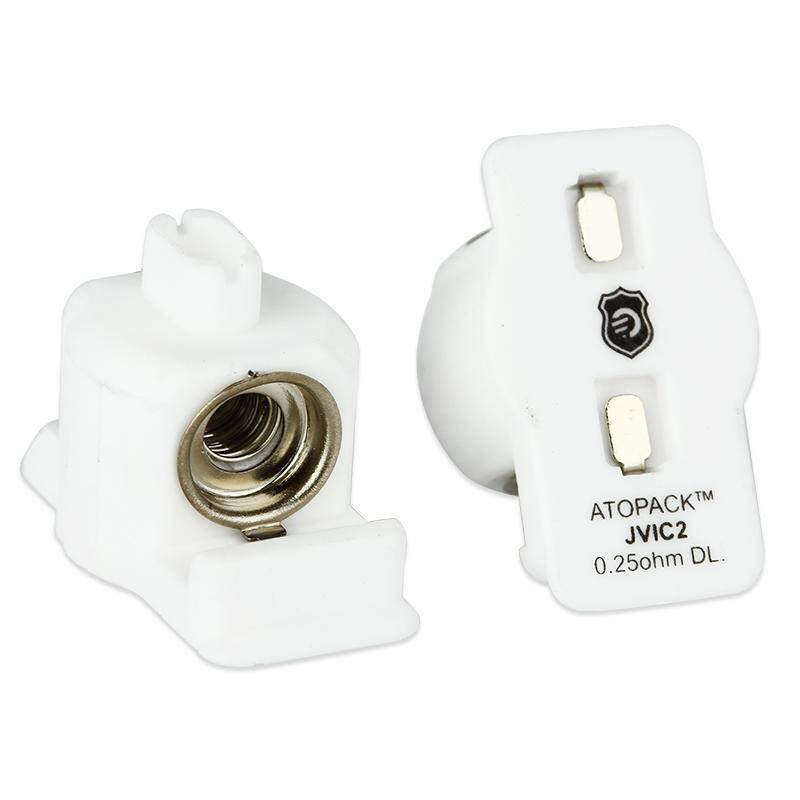 The innovative Joyetech JVIC (Juice Vertical Injection Coil) system adopts a unique method of vertical juice injection resolution. It has a brilliant ceramic cradle which takes a horizontal approach in discovering original and clear flavor as well as large clouds. It's Kanthal coil wrapped by ceramic cradle. JVIC2 0.25ohm DL head is for direct lung vaping. 5pcs each pack. Well done, I managed to quit with zero substitute, my wife on the other hand has now got a vast selection of vapes and juices, we have discovered that their is a mass combination of vapes, juices, strengths and coil sizes (ohm's), some coil's burn out quickly with more VG juice and others with PG, in simple terms the bigger the coil (ohm's) and size the more VG ratio you can have. On the down side the battery Dont last as long, that's what we have found anyway. Perfectly packed, quickly shipped and delivered. Thank you! For a long time i recommend all this store.